David (Dung) Tran was born in Saigon, Vietnam and accepted Christ when he was 10 years old. He came to U.S. in 1995 and had served in many different ministries at various churches. 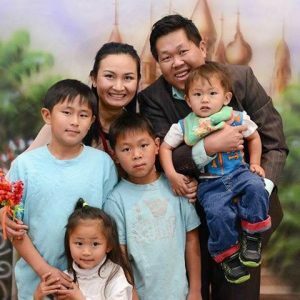 He came to Thanh Le Church in 2008 and officially served at Thanh Le church as Small Groups director in 2012. He is married to Bao-Chau Duong, a founder of a dance team called “The Seed” in 2005. Their marriage Bible verse was “As for me and my house, we will serve the Lord” (Joshua 24:15). 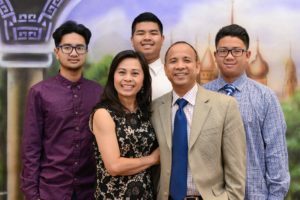 As their commitment to the Lord about the future family direction. They have 4 beautiful children. 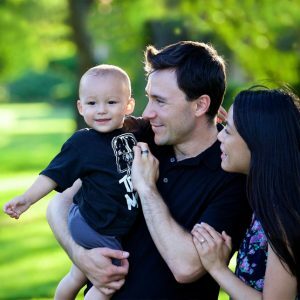 Evan and Yen Dahl have been a part of TLC since 2010, but have been active in ministry prior to making TLC their home church. Growing up as a child actor, God has conditioned Evan to adapt to the different personalities and roles that are present in the Youth Ministry of TLC. He currently serves as Youth Director and is pursuing a Masters of Divinity from Gateway Seminary. Evan and Yen enjoy spending time with their son, Elijah. Timothy (Tuan) was part of Thanh Le Church since 1991. He was blessed and enjoyed with the opportunities to serve at TLC in various roles and capacities thru out the years. He met his wife, Lienhai Do, when they both were part of TLC’s young adult ministry. They got married at TLC in 1994. They have three sons Samuel, Jeremiah, and Joshua.